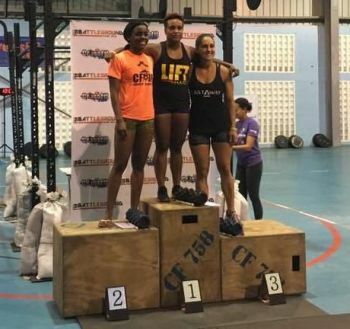 CASTRIES, St Lucia – Several members of the Castaway CrossFit Gym in the Virgin Islands (VI) took part in the CrossFit 758 Battleground competition in St Lucia, last weekend, returning home with 3 medals. 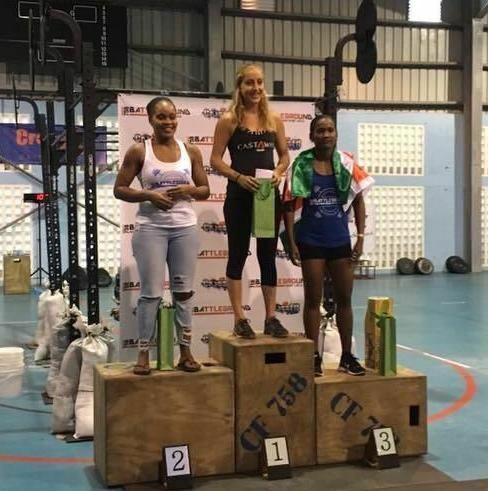 Athletes from Barbados, Martinique, Trinidad and Tobago, Suriname and of course host, St Lucia, along with the VI based team, all met at the Beausejour Indoor Gymnasium over the weekend of November 25 and 26, 2017 to compete in various disciplines, including Thrusters, Burpees, Chest to Bar Pull Ups, Clean and Jerk lifts, Wall Balls, Front Squats, Box Overs and various other physical and taxing activites which gives CrossFit its mantle. The athletes from Tortola who participated despite having seen their Gym in Road Town destroyed by the hurricanes, included Caroline Sorrentino, Zoe Sorrentino, Debbie Bell, Julien N. Johnson, Sam Lawton, Annelise Lawton, Eloy Derze, Kai DeCastro, Chris Graham, Norville C. Brathwaite, Jerome Rubin-Delanchy and Augustina Cello Zambrano. The competitors took part in the RX Division, which means the athlete has to perform all exercises using the prescribed weights and repitions and also the Scaled Division, which uses slightly lighter weights and/or less Reps.
Zoe Sorrentino took first place in the Women's Scaled Event, Johnson second in the Men’s Scaled event and Caroline Sorrentino third in the Women’s RX event. Athletes from Barbados, Martinique, Trinidad, Tortola, Suriname and St Lucia battled through out the day showing a tremendous amount of strength, effort, energy, skill, endurance and will power! 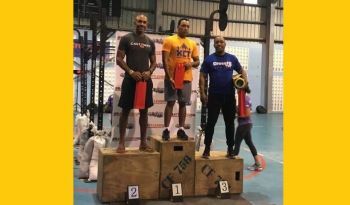 According to the VI Team, they were made to feel very welcome and are looking forward to attending future competitions throughout the Region. we may be down but not out.Congrats to all .